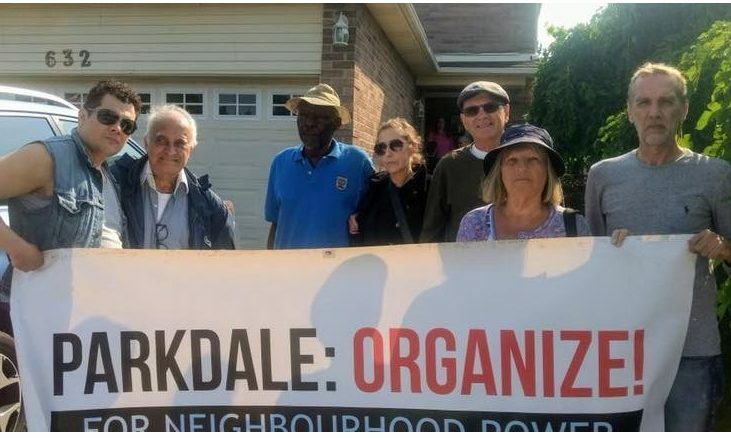 Today our neighbours at 1336 King, along with members of Parkdale Organize, visited the Mississauga home of their landlord, Marina Grmusa. Grmusa is evicting our neighbours Melissa, Cesar, and Marco. We made it clear that our neighbours are here to stay. 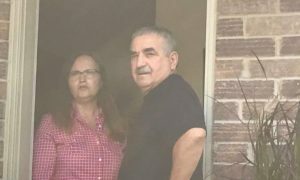 In August, Grmusa tried to strong-arm Melissa and Cesar into signing forms which would end their tenancies. Grmusa used this tactic on tenants who are ill, elderly, and with limited English. The house will sell for a higher price once tenants are out. Read a profile of our neighbours in the Toronto Star here. Parkdale tenants in rooming houses, bachelorettes, above storefronts face abuses from landlords and investors looking to cash in on the housing market. By organizing, we create the conditions under which the displacement of our neighbours can be stopped.